In this JungleDocs for Office 365 tutorial, you will learn how to create permission roles and how to assign them to users. This can be a useful feature if you want some people to be able to modify app settings and rules, and others only to be able to use the app to create documents. Note: you should have an Administrator permission role (or a newly created one that gives the same permissions) to see and modify these settings. 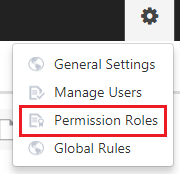 In order to grant or limit user access to the JungleDocs for Office 365 app, first, you will need to create permission roles. 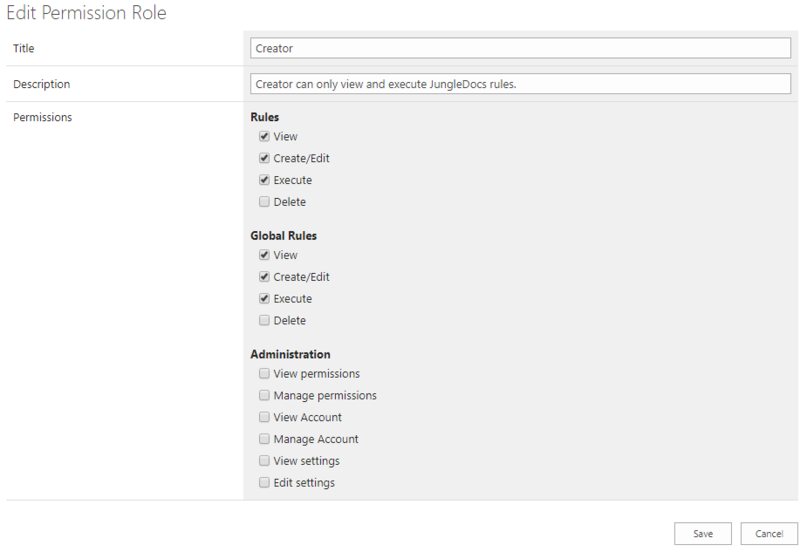 Then, you will be able to assign specific roles to users. 1. Open JungleDocs for Office 365. 2. Now click on the Settings wheel in the top right corner and select Permission Roles. 3. Here you will be able to create new roles and manage existing ones. 4. When you start creating a new role or edit an existing one, this will prompt a window with configuration options to open. 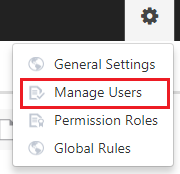 Here you can set what options the users will have which are assigned this permission rule regarding rules, Global rules and general permission settings related to administration. 5. The next step is assigning these permissions to specific users in your organisation. Read on to learn how to do this. 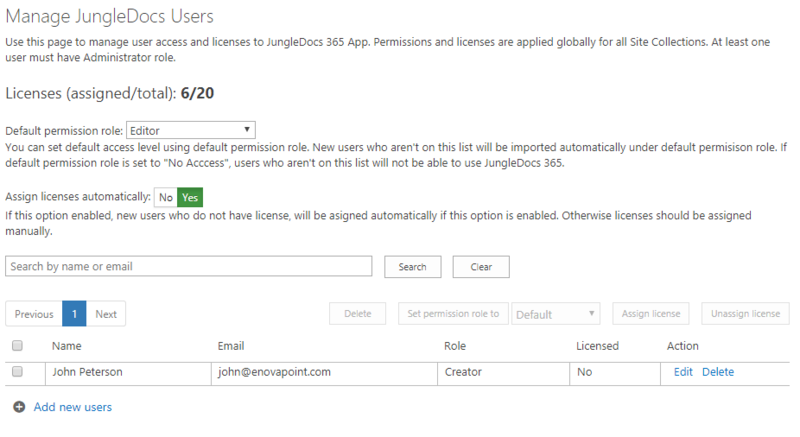 In order to grant or limit user access to the JungleDocs for Office 365 app, you will need to assign roles to specific users or groups of users. 2. Now click the Settings wheel in the top right corner and select Manage Users. 3. In the menu that will now have opened, you will be able to assign roles to users in your organization.